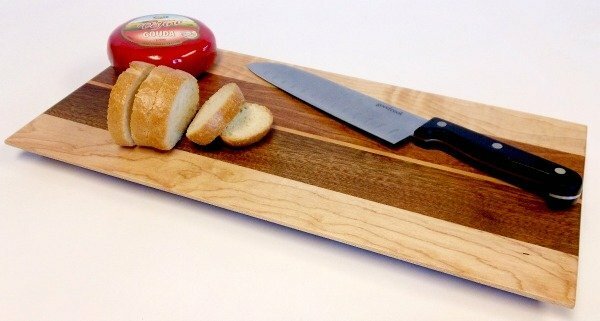 The figured Maple and Walnut center stripe on this beautiful set are reminiscent of the stringers in high-end surfboards. 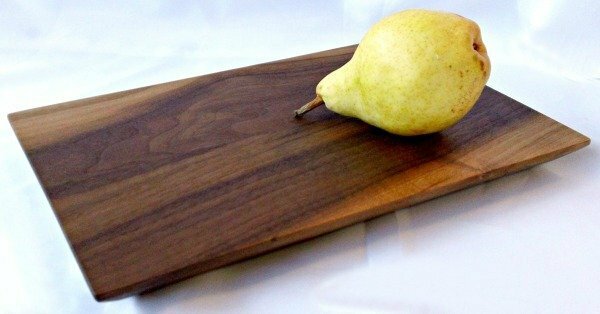 Narrow accents of maple, mahogany, and walnut set the center strip apart from the cherry body of the board to guide your tosses into the hole! 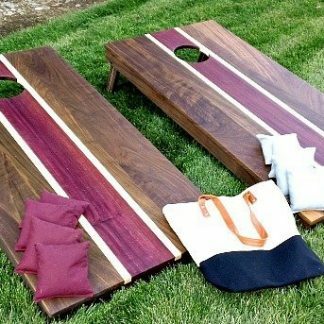 Hand-crafted in cherry with accents of maple and walnut, this Corn Hole Set is a great addition to any backyard. 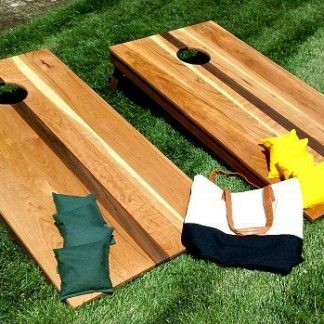 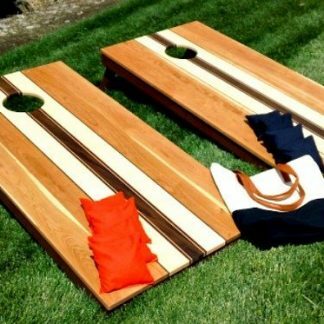 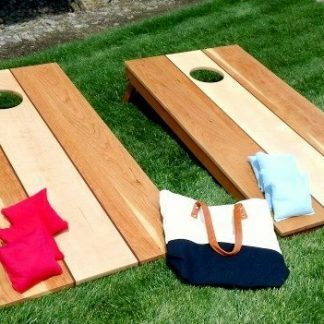 This all hardwood, regulation-size set, includes a handy canvas tote and two sets of corn filled game bags (made in the USA), like all Corn Hole Sets from Hardenbrook Hardwoods. 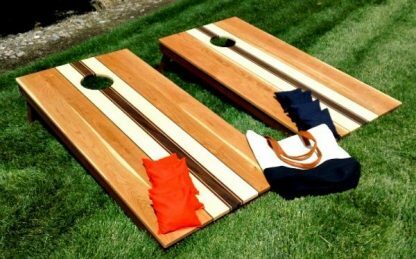 With these, beautiful boards that have a hand rubbed finish, your game will simply not be the same again!